Valencia Town Center Bail Bonds | Mall, Arrest, Jail & Bondsman Info. If a friend, family member or loved one has been arrested at the Valencia Town Center Shopping Mall, they will generally be transferred to the Santa Clarita Sheriff’s station jail for booking and processing. If this has happened, a caring, licensed SCV Bail Bonds agent is available 24/7 to help walk you through the bail bond process and answer any questions you may have. The newly updated Valencia Town Center Mall is the only one of its kind in the Santa Clarita Valley. Families and individuals come from all over Southern California and beyond to shop, dine, and even watch movies at the Edwards Cinema and Imax Theaters. 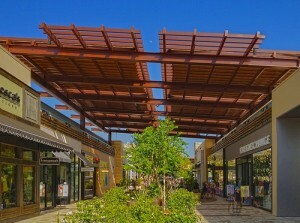 Being home to numerous boutiques, stores, restaurants and late night hot spots, the SCV Sheriff’s Deputies are sometimes called in to break up disputes or to arrest suspected shoplifters. If you have any questions about obtaining a bail bond, call us locally at 661-299-2245 or toll-free at 877-224-5266 for immediate assistance for someone arrested at Valencia Town Center Mall. The Santa Clarita Sheriff’s station is a small facility that is just a few blocks away from the Valencia Town Center. They house few inmates and booking and processing is usually finished very quickly, sometimes in under an hour. Once the booking process is complete, if the inmate is not bailed out quickly enough, they will be transferred to either Twin Towers Facility (for men) or Lynwood Jail (for women). Because of the extremely fast booking and processing speed at the SCV Sheriff’s Station, it is important to get the bail bond process started as quickly as possible in order to avoid a longer stay in custody. If transfer occurs, the time spent in custody can be increased anywhere from 12 to 24 hours. Once the application has been approved, there will be a few forms to sign and the bail bond is ready to be posted directly with the jail. Our bail application is quick and easy, and can be taken care of over the phone or via fax or email with us from the comfort of your own home. Bail is set after booking and processing is complete and the cost varies depending on the crime or crimes a person is charged with. The average bail amount in the State of California is $20,000. In California, the cost of a bail bond is set at 10% of the total bail amount. So, if the total amount of bail is $15,000, then the cost of a bail bond will be $1,500. We offer a variety of payment options for our clients including all major credit cards, check, money order, money wire transfers and bank account transfers. Bail bonds are seldom expected, and as such individuals do not always have the money just lying around. We are skilled in creative bail bond solutions and have a variety of payment plans designed to fit every budget. We never add financing charges or extra fees for those who require a more creative payment option. Just call one of our agents to find out how quickly you can qualify. Our goal is to help you get your friend or loved one out of jail as quickly and as stress-free as possible. If you’re in need of Valencia Town Center bail bonds, call us any time, day or night, at 661-299-2245 or toll-free at 877-422-4591. Our office is located at 23734 Valencia Blvd., #300, right here in Santa Clarita Valley. We’re just one block down from the Valencia Town Center Shopping Mall and directly across the street from the Santa Clarita Valley Station Jail. We can help you quickly, professionally and privately.